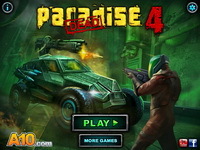 Description: Unleash your fury and have fun playing this little violent game. Massive Mayhem 3 features a new environment with plenty of new vehicles and buildings to wreck and combo killings to collect. You will also have secret areas to explore and some fun bonus material to unlock. Shoot the enemy aircrafts out of the sky before they shoot you down. Blow up bridges, buildings, towers to complete each level. Discover the World War 2. Try to earn as many stars as possible. Destroy as many enemy soldiers as you can. Use your armored car to shoot the mutants! Your task is to save the world from a mysterious underground lab. Stick soldier training: and you're the dummy! Mouse actions only - you need to think quick and act quicker to stay alive. Stickmen bleed too, you know. Humans have disrupted the peace of a little pink planet with their toxic waste. Now these beings are seeking revenge. Protect our planet from the incoming pink gummy aliens and save our pitiful human lives. Your favorite action hero is back in Commando Rush, a series of fast and furious quick fire missions! Rank up to unlock awesome weapons and all new game modes.